Oops! 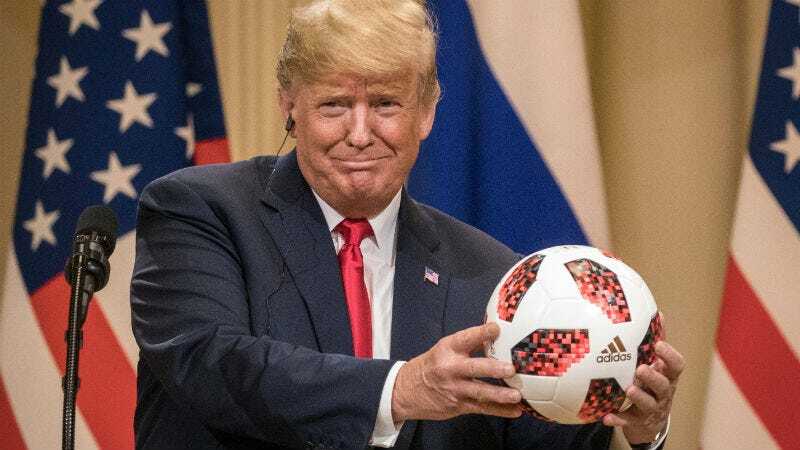 During Monday’s joint press conference with Russian President Vladamir Putin, President Trump said he saw no reason why Russia would want to meddle in the 2016 presidential election. But that’s actually totally not what he meant. According to Reuters, Trump says he intended to say that he “saw no reason why it would not be Russia that interfered in elections.” In other words, the exact opposite of what he said less than 24 hours ago. It happens, my man! Trump also says he accepts the U.S. intelligence community’s consensus that Russia definitely, 100 percent, no question meddled, he just doesn’t think it had an impact on the election results. I mean, who among us hasn’t made a total 180 from remarks we made on the world stage when asked what many believed was a straightforward question with a very straightforward answer! Trump: He’s just like us.